So now the plot continues to thicken inside the White House. A longtime White House staffer who works on issuing security clearances for key administration personnel has told congressional investigators that the Trump administration has issued top-secret clearances to individuals who had been denied them for a variety of reasons. Tricia Newbold has worked under four administrations, Democrat and Republican, dating back to 2000. She said the Trump White House has been amazingly lax in its security-clearance procedures. Imagine that, will ya? Who knew? I keep thinking of presidential son-in-law Jared Kushner and his wife, Ivanka Trump, garnering clearances even though neither of them had a lick of national security experience prior to Daddy Trump becoming president of the United States. The president denied running interference for either of them. Others have reported, though, that he most certainly did. John F. Kelly, the president’s former chief of staff, wrote in a contemporaneous internal memo about how he had been “ordered” to give Mr. Kusher the top-secret clearance. 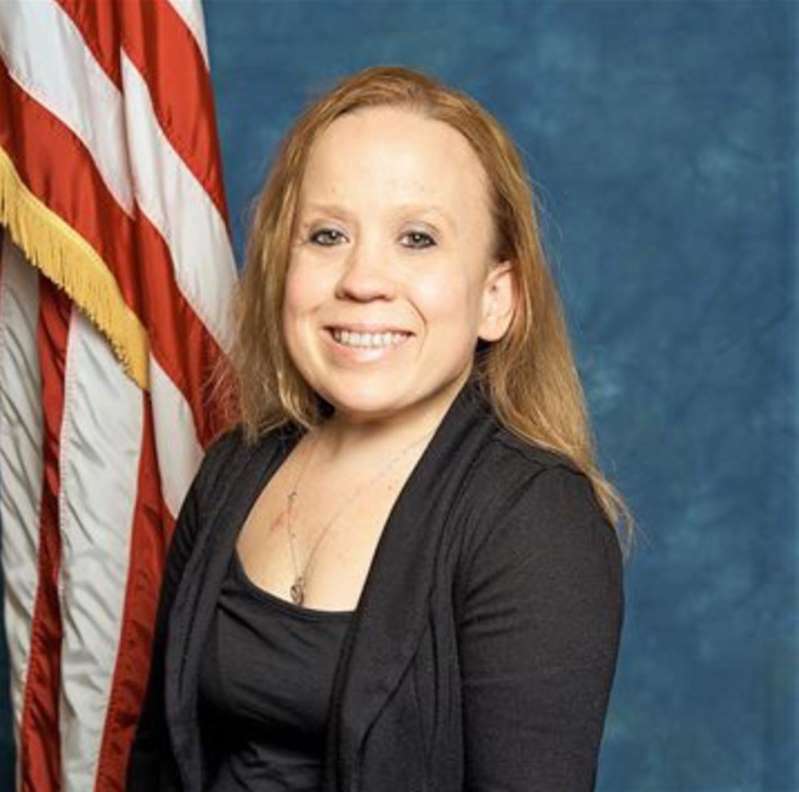 In her interviews with the House committee, Ms. Newbold said that Mr. Kelly and Joe Hagin, the former deputy chief of staff, had been attentive to the national security issues she had tried to raise. Gosh, do you think there might be a national security risk being presented inside the White House’s West Wing? I do. It frightens me. Ivanka and Jared privileged? No-o-o-o! I have sought to keep quiet about Ivanka Trump, daughter of the president of the United States. I guess it’s time to speak about her. It’s not that I relish taking shots at a president’s daughter. Ivanka Trump, though, isn’t your run-of-the-mill presidential “child.” She is a senior policy adviser to her father, as is her husband, Jared Kushner. The pair now have become subjects of a book that details how they parlayed their kinship to the president to acquire enormous power within the West Wing of the White House and how they attained that power with no discernible credentials — other than Ivanka’s father is the president. The book is titled “Kushner, Inc.” and chronicles how both of them were the children of domineering fathers who greased their entry into the business world. The book, though, does say that Donald Trump was a “disengaged” father during Ivanka’s coming of age years. Vicky Ward wrote the book and it is sure to bring out the Trump critics who will note that Ivanka and Jared are given tasks for which they have no qualifications. Ivanka supposedly works on job creation for women; Jared is in charge of forging a Middle East peace. The way I see it, Jared Kushner is the one who is farther out of his league. He has zero credentials negotiating a diplomatic solution to centuries of warfare among people with historic hatred for each other. Ivanka and Jared do not qualify by any measure to be of the quality required for the access they have to the nation’s most sensitive secrets. I know this doesn’t really need to be said, but I’ll offer it anyway. Ivanka Trump is not your run-of-the-mill presidential family member who is “off limits” from intense media scrutiny. Ivanka is a key member of the president’s team of advisers. He’s a “senior” adviser, in fact, although I don’t know what in the world qualifies her as “senior” anything. Donald Trump no doubt sees any media inquiry, for example, into her use of a personal e-mail account to conduct government business as an intrusion into a “private matter.” It’s far from it. Ivanka Trump needs to steel herself for an intense look by Democrats who will run the House of Representatives. So should her dad, the president. So should her brothers, Eric and Don Jr. Indeed, the only children of Donald Trump who should be exempt from media scrutiny are Tiffany, his daughter with his second wife, Marla Maples, and young Barron, who lives in the White House with the president and first lady Melania Trump. Daddy Trump says there’s no comparison between what Ivanka has done and what former Secretary of State Hillary Clinton did when she used her personal e-mail account while she ran the State Department. But . . . what Ivanka Trump has allegedly done is worth a careful look by Congress. 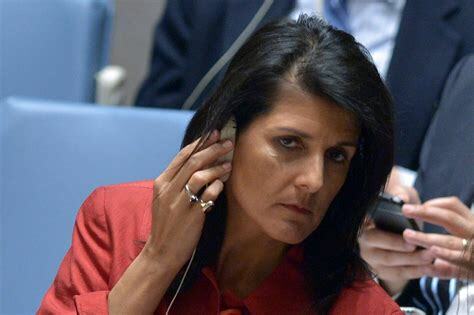 She should be called to testify before, say, the House Oversight Committee and forced to answer questions under oath about what she put out there for all the world to see. Hypocrisy is flourishing in the White House! Let’s just call him the Hypocrite in Chief. Donald J. Trump has been caught in yet another example of bald-faced, categorical and unqualified hypocrisy. His daughter Ivanka has been caught using her personal e-mail account to transmit messages pertaining to government business. Was any of it classified? Was she able to send messages that compromised our national security? Oh, probably not. But the point is this: Daddy Trump spent two whole years telling the world that in his view Hillary Clinton committed “several felonies” while using her personal e-mail while she was secretary of state. He led chants of “Lock her up!” at campaign rallies. Now his older daughter is caught doing essentially the same thing. His response? Pfftt! Not parallel, he says. Moreover, he called Clinton “stupid” for not knowing the rules. Was all of that lost on Ivanka, who now says she didn’t know the rules about e-mail use when she took her post as a senior adviser to her father? Remember, too, how he criticized President Obama for playing too much golf? How he — Trump — wouldn’t have time to play golf, that he’ll be too busy “making America great again”? He’s turned Obama into a weekend duffer. This president, the guy who ridiculed his predecessor unjustly, has lapped the field — and then some! — with his golf outings. I do not begrudge the golf per se. I’ve said all along that presidents are never off the clock; they remain in constant contact with their key aides, advisers and national security team. I do begrudge the golf only because of Trump’s hypocrisy on that matter — and on so many others. I don’t want there to be a hint of acceptance for what has been said recently about Ivanka Trump, the daughter of the president of the United States. Comic Samantha Bee used a hideous, profane slur regarding Ivanka Trump. She should be condemned for using that kind of language against her. Bee has apologized for calling her the “c-word.” No word on whether Trump accepts the apology. That said, Daddy Trump’s demand that Bee should be punished by the TV network that hired her is hideously hypocritical. Then again, hypocrisy is part of the president’s modus operandi. Ted Nugent, the guitarist/NRA activist/Trump supporter used the same word when referring to former first lady/secretary of state/U.S. senator Hillary Rodham Clinton. Trump’s reaction to the Motor City Madman’s foul mouth? He invited him to the White House to pose for pictures with him, along with Sarah Palin and Kid Rock. My point is that Trump’s selective outrage is so very transparent — while being so astonishingly phony at the same time. 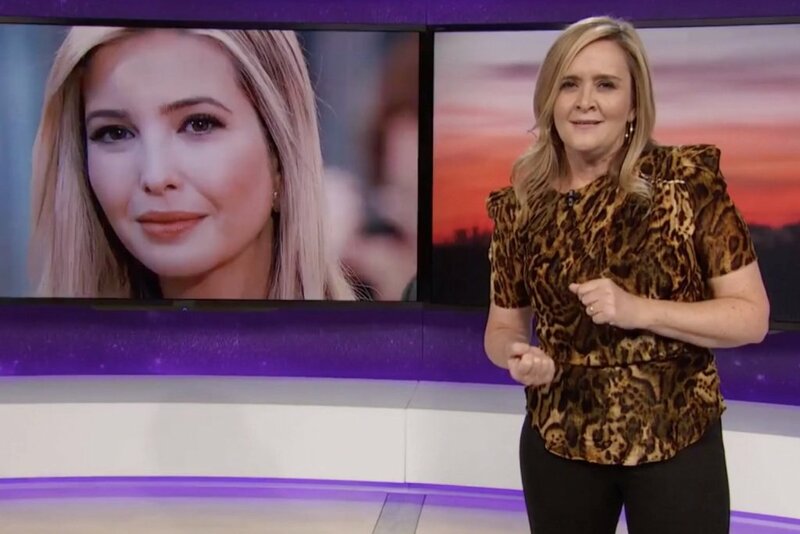 Samantha Bee said something she clearly should not have said about Ivanka Trump. To be honest, I know little about Bee — far less about her than most of us know, or think we know, about the president’s daughter. I’m not likely to take a single thing Bee says in the future with any degree of seriousness. However, Ivanka’s father needs to calm down and reflect — although I doubt he is capable of serious self-reflection — about how he has treated other public figures’ use of that identical derogatory term. Furthermore, the president himself has exhibited his own brand of rhetorical callousness.